According to the Associated Press, actor David Carradine was found dead in a hotel room in Bangkok, Thailand earlier today. Initial reports indicate that Carradine hanged himself, though the 72-year-old actor's agent is claiming that he died of natural causes. 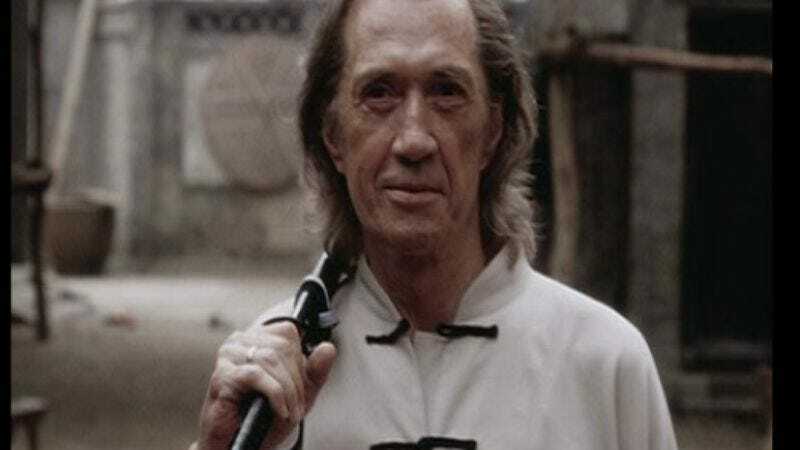 Carradine is arguably best-known for three career-defining roles: the wandering Shaolin monk Caine in the TV series Kung Fu, a young Woody Guthrie in the biopic Bound For Glory, and the aging ringleader of a band of assassins in Quentin Tarantino's two Kill Bill films. But Carradine led a colorful life offscreen as well, traveling the globe in pursuit of his muse as and actor and a martial artist. We at The A.V. Club had the good fortune to interview Carradine twice, and found him at once irascible and charming, and always with a great story to tell. Links to those interviews can be found here and here.